Life on Earth is indeed stringent and hard. Many a weak soul have succumbed to the blows of life, bemoaning their fate with a melancholic refrain of, “Why me? What have I done to deserve this punishment?” The hardier souls, on the other hand, have used their free-will to take up their lot with a challenge to live happy and free despite the odds, with an upbeat mantra of, “Whatever happens, happens for the best”. The quality of your life depends upon your mindset. You are subject to the immutable cosmic Law of Attraction. Most of the time you are living with the sabotaging thoughts of fear and anger, and thus unwittingly you are inviting situations of similar energy into your life. In order to ameliorate your outer circumstances you need to make the switch from within. Change the way you look at life. A positive mindset perceives life through rose-tinted glasses so that everything that is gloomy and sinister begins to appear warm and rosy; you begin to see perfection even in imperfection. With that your life becomes a haven of peace and wonderment. The characteristic features of a positive mindset are typical. A positive mindset is light and buoyant, yet a strong pillar of support to those who are suppressed beneath the weight of the blows of life, and have no strength to get back on their feet. You are anchored in the eternal time-zone of NOW – not in the past with his baneful memories, nor in the future of illusory fears. The light of optimism does not allow any negative thought to mar your sunshine. Live with the attitude of gratitude for the have’s and the have-not’s in life. Life is too short to waste time on whining and complaining, when there is so much to look forward to in life. 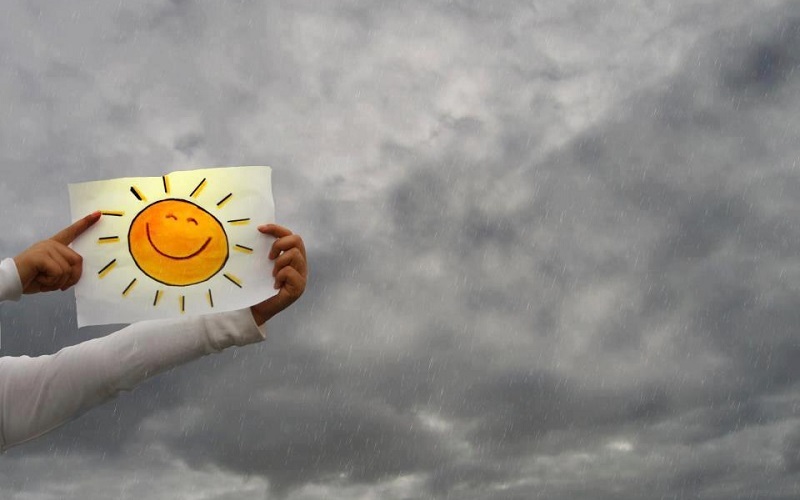 Look for opportunities to transform a dull, cloudy day into sunshine and rainbows. A person with a positive mindset is indomitable. He has learnt to laugh away his troubles. The positive energies of love and peace can neutralize all the past traumas, and render a grim situation, benign. Pessimism is a dark cloud that prevents the Light of love and peace to filter through. The burden of pessimism is a mighty load to tote. It suppresses the soul under its weight, and dulls the mind with its foreboding gloom. Sometimes the negativity in you is so deep that you need external help to deal with it. There is this wonderful brainwaves site: the Unexplainable Store, which provides healthful solutions for those seeking to rise spiritually and develop a positive mindset. A few extremely Low Delta Frequencies in the Epsilon Range can help bring about heightened states of consciousness. They are the Binaural Beats and the Isochronic Tones, which can effectively remove all blockages from your consciousness, and transform it to a positive mindset over a period of time of using this product daily. As you begin to increase your vibrational frequency, you will begin to attract all that resonates with the higher vibrations. Life will then become one big miracle. Therefore, trade your sorrows of yesterdays with the joys of the eternal moment of NOW. Allow each new day to unfold gently its gifts unto you. Let go of all your misgivings, and forgive all who caused you pain and sadness. Choose laughter over sadness when circumstances compel you to cry. Invoke the shield of Light over you wherever you go, and tread fearlessly the treacherous grounds of this world.